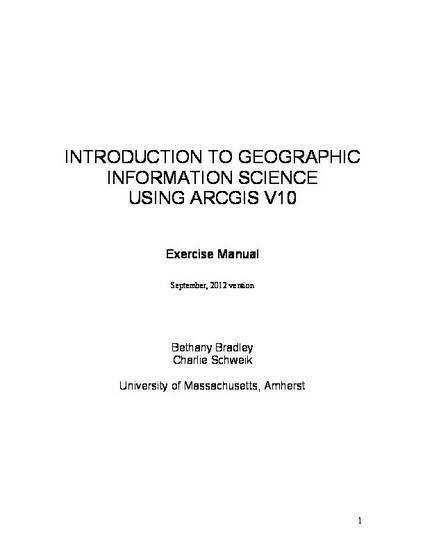 This is a lab exercise manual with extra supplemental exercises for use in an introductory course in GIS for students in environmental conservation programs or studying public policy public administration. The emphasis is on environmental management/analysis-related applications. Lab exercises require the ESRI ArcGIS v10 software. Data for all labs and exercises are available on this site as supplementary material in .zip format.